HomeBLOGAre Chatbots the Next mHealth Frontier? 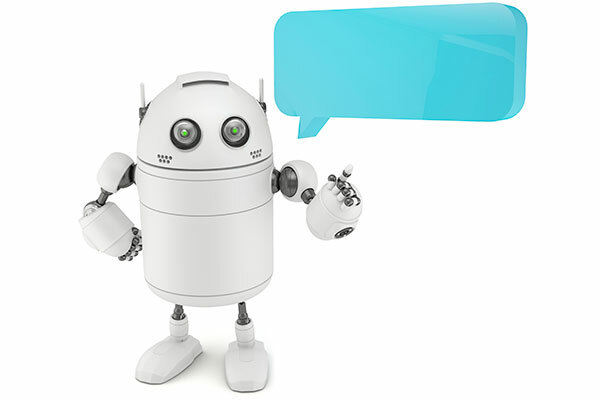 Editor's Note: Chatbot Basics - A chatbot is a messaging tool designed to simulate a conversation or interaction. Chatbots rely on Natural Language Processing (NLP) and Artificial Intelligence (AI) to process information and respond to user inputs. These are often text but can be voice inputs as well. Messaging apps like Facebook Messenger, WhatsApp, and WeChat have driven broader adoption of these tools. At HIV.gov, we are exploring how a chatbot could enhance how our users experience our services, whether that is a tool that shares basic HIV information or guides users through the HIV Care Continuum. In April, Facebook made it possible for organizations to use chatbots to send and receive messages from users of Facebook Messenger. That’s a big deal. Facebook Messenger is now used by 900 million people every month. As the name implies, it’s a messaging platform that people use to send short messages to each other through the app. Itâs the most popular messaging app in the U.S and the second most popular of those apps worldwide, behind only WhatsApp (which Facebook also owns). Traditionally, bots (or web robots) run automated tasks that are simple, structurally repetitive, and can be performed at a high speed rate. Examples of current bots include search engine spiders that index web pages, or malicious bots like viruses or worms that can cause harm to software. Facebook views bots as a way for businesses to quickly interact with customers without those customers having to place a call. The Facebook Messenger bots can help users track their package, find out the weather in their city, get news headlines, and answer questions about how clothing fits…all using a conversational user interface that is familiar, easy, and mobile-friendly. Could a Bot Help People Quit Smoking? For Smokefree.gov, we are always looking for ways to be with people who are quitting smoking, with just the support they need, exactly when and where they need it. Out of 900 million users, we can reasonably assume that hundreds of millions of current and former smokers already have Facebook Messenger on their mobile device . And they’re regularly using it to interact with their friends and family. Before April, there was never a good, scalable way for the Smokefree team to interact with our community on Facebook Messenger. With the introduction of bots, hundreds of new possibilities have opened up. Our team began to think about how an end user would interact with the Smokefree bot. We started with two important use cases: crave tips and slip support. Then we designed decision tree wireframes that showed the message flow for a user based on questions the end user answered. Questions like: Do you need information on how this works? Did you smoke today? Are you battling a craving and want support? Do you want more information about how to quit? With the bot, these questions are easy to ask and it’s easy to get responses back. We have not launched a Facebook Messenger chatbot yet, but we have begun testing the Facebook Messenger tools as a team. From a design perspective, this is like a convergence of text messaging and Facebook. And users are already making new assumptions—our Facebook users occasionally message us with “CRAVE” or “SLIP,” two keywords from the text programs. In the future, our bot will be able to provide crave tips and slip support just like SmokefreeTXT currently does—except with richer content like photos and web page cards. How can we responsibly gather data to help us improve the bot, without sacrificing user privacy and security? How might we use natural language processing so that the bot can interact more conversationally with users? Will people use this technology? And will we be able to provide them with tools to help them quit smoking? We believe the potential value of bots for mHealth is huge, and questions like these are all worth answering. We’ll keep posting as we learn more about Facebook Messenger, chatbots, and conversational user interfaces. All references to specific brands and/or companies are used only for illustrative purposes and do not imply endorsement by the U.S. federal government or any federal government agency.This post was originally published on the mHealth Monitor blog.